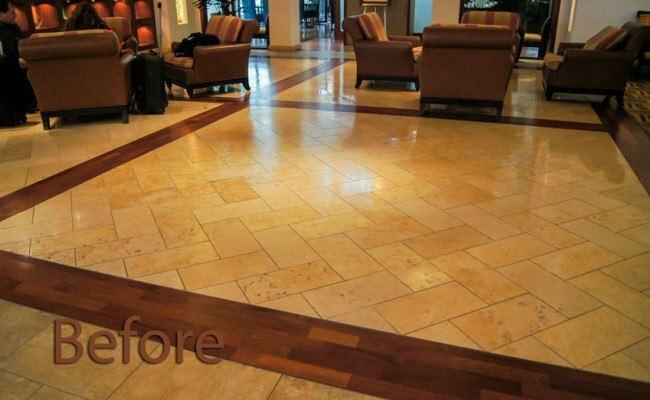 This Marriott lobby had not been restored in over 10 years. 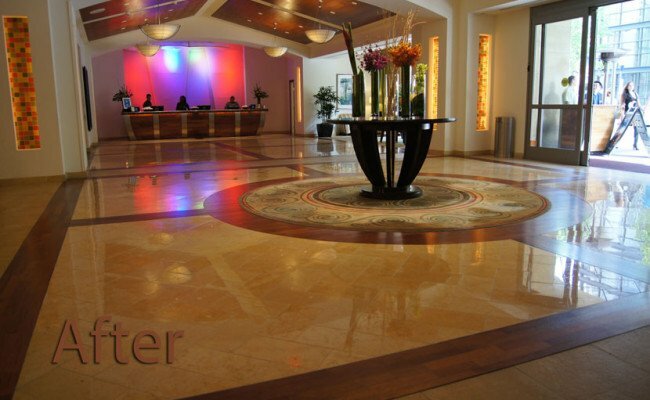 Located across the street from the Padres Stadium, the lobby had been subject to moisture and excessive foot traffic. 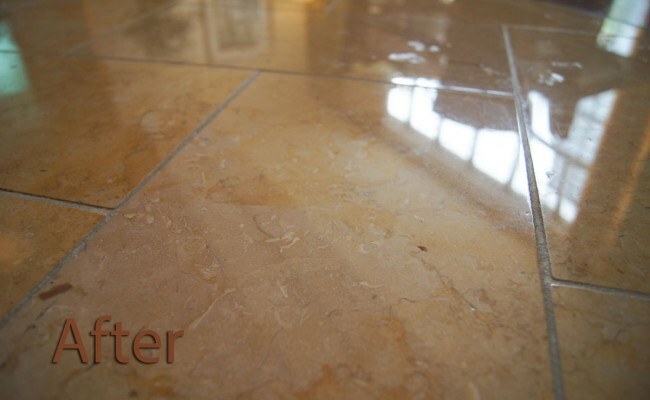 Consequently, the polished marble became pitted, and thousands of small holes had formed throughout the floor. First we ground the floor to remove any loose pieces of the stone. Then, we custom mixed a gold tone epoxy to match the floor and used it to fill the holes and pitting. We diamond honed the entire floor with 50 grit, 120 grit, 220 grit, 400 grit, and 800 grit to remove scratches, damage, and excess epoxy. 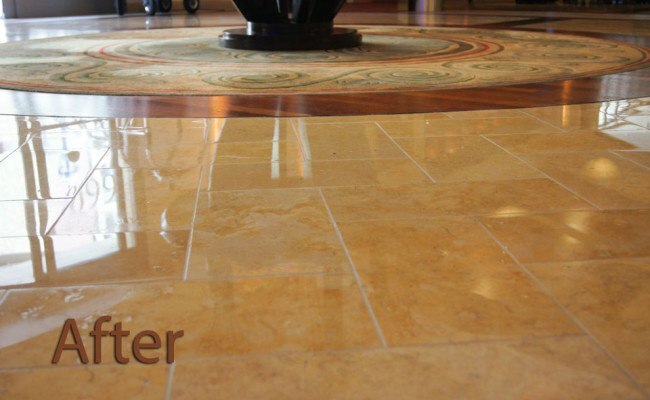 To restore the stone’s elegant sheen, we polished the floor. The last step was to seal the stone with a solvent-based impregnating sealer to protect from future wear and tear. We recommended regular commercial maintenance services so the floor could stay looking great all the time. 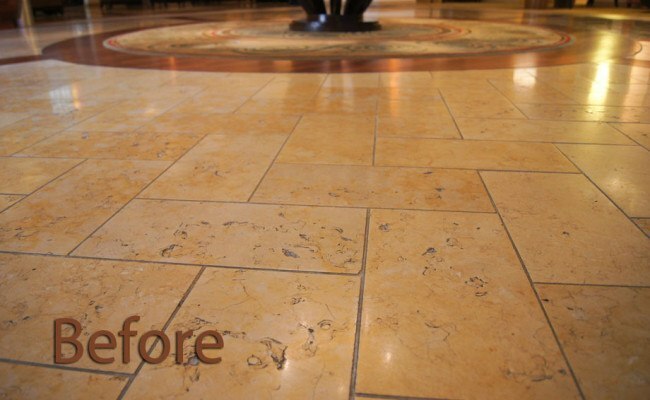 If your natural stone floors or surfaces have become dull, dingy, dirty-looking, scratched, etched, or otherwise damaged, don’t replace it, have it professionally restored! To learn more, visit our Marble Services page or watch this short video. 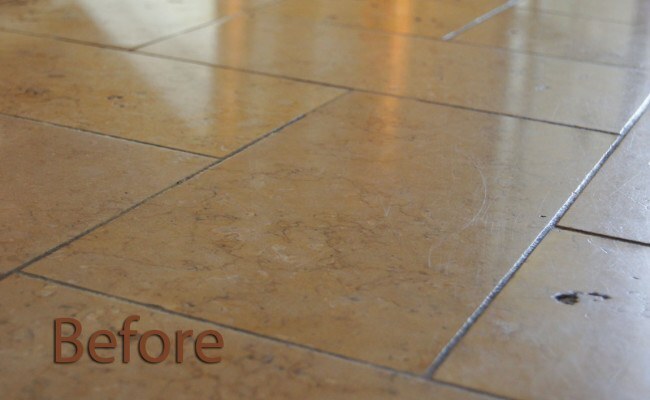 For marble floor polishing services in the San Diego area, contact us online or call 619-246-0240 today for a free estimate. We also provide services for countertops, walls, showers, or other surfaces that need to be repaired, rehoned, or repolished.